Dentistry has come a long way from the old days. Whenever people think of trips to the dentist in days past, they picture industrial-looking tools and, of course, many different types of syringes used for injecting anesthetics. Nowadays, electronic dental tools have eliminated the need for such a wide array of different implements and procedures. As a result, dental appointments have become more streamlined and pleasant. New technology in dentistry is all about ensuring the patient’s dental experience is comfortable and efficient. The DentalVibe Comfort Injection System bears that out. It’s designed to give a painless solution to traditional syringe injections. Nearly 100% of fearful patients who have received treatment with DentalVibe have had their outlook on dental visits changed. The device represents the strides dentists are making towards optimizing and growing their practice, and it’s a great way to explore new technology in dentistry. Developing innovative technology in any field requires passion to achieve a goal that previously felt unattainable. In DentalVibe’s case, creator Dr. Steven G. Goldberg wanted to alleviate the pain and attendant fear of dental injections, easily the worst part of any dental procedure. He researched the best ways to block the pain signals to the brain that injections caused. Along with his team, he found there were practical studies done using a vibratory device while simultaneously injecting patients with anesthetic. When patients experience a pleasant sensation like gentle vibration at the same time of injections, that signal reaches the brain’s neural pain gate faster than the injection’s sting. As a result, the vibration cancels out the pain. The principle of this procedure is called “The Gate Control Theory of Pain” and it’s what enables DentalVibe’s VibraPulse technology to work so well in administering painless injections. In the past, dentistry was often associated with fear and pain. Uncomfortable tools were often the root of this phobia. New technology in dentistry enables professionals to eliminate the association of fear and pain from the practice. With a device like DentalVibe, dentists can give their patients revolutionary treatments that help them overcome their reservations. New technology rarely works on its own. Patients need to know about these advancements before they can truly take root and become popular. Without these efforts, innovative tools often fail to catch on. While traditional marketing methods like in-office fliers and billboard ads are not necessarily ineffective, they can be if dentists only engage their local patient bases. New technology in dentistry makes good use of a strong online presence, including Google+ profiles, search engine optimization, regular blogging, and reviews that can help attract and retain patients. DentalVibe makes use of several of these social media strategies to show how dentists around the world have used their products to grow their practices. Since it’s a low-cost device that offers a vital service to patients, DentalVibe wants to ensure dentists who use the device can appear on a map that is easily searchable and accessible to prospective patients. Dentists should treat their practices in a similar manner, recognizing their patient bases will want to spread the word about their practices to their online networks. Here’s the bottom line of new dental technology: It’s about empowering patients to have get better oral health care than they’ve ever had before. 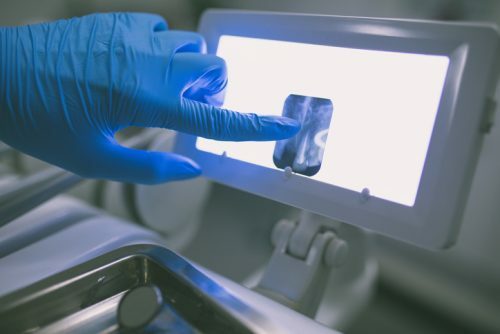 New technology in dentistry wants to ensure that as many people as possible have access to this better oral health care. That’s why inventions like DentalVibe are vital. to keep your teeth healthy. Find a dentist in your area who uses DentalVibe.